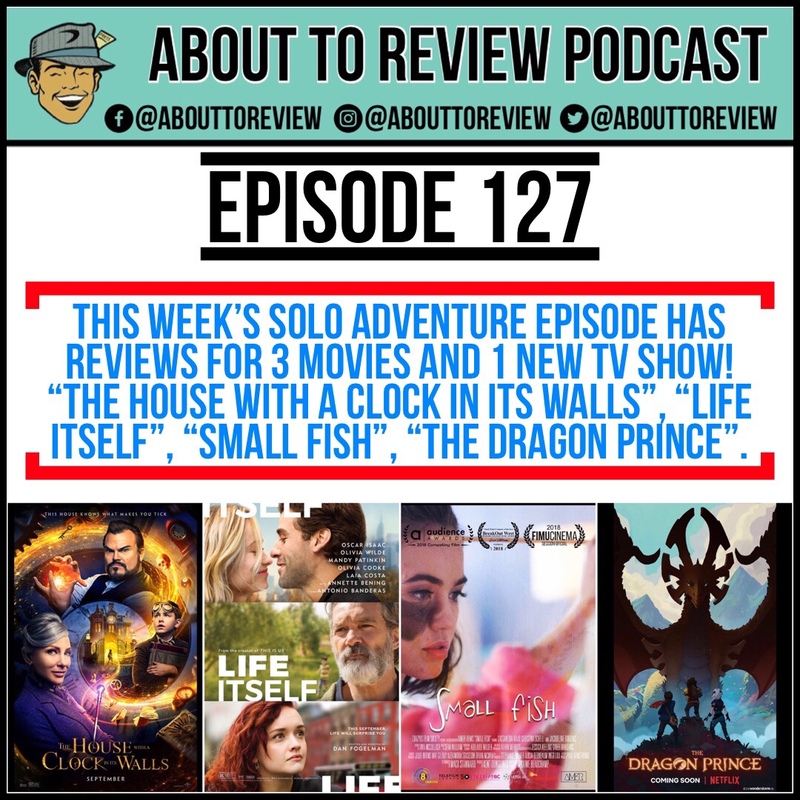 A solo adventure this week as I talk to myself in the studio and review 2 feature length movies, “The House With A Clock In Its Walls”, and “Life Itself”, short indie film “Small Fish”, and wrap it up with the new Netflix show “The Dragon Prince”! 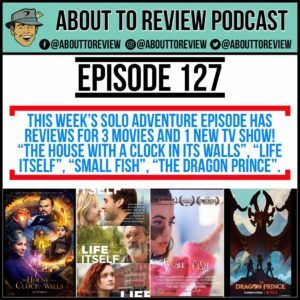 The movie selection this week ranges from the family friendly, although still scary “The House With A Clock In Its Walls”, to the romantic (and schmaltzy) “Life Itself”, then a short indie film “Small Fish” which uses dance as dialogue, and lastly the new Netflix animated show “The Dragon Prince”. New Bumblebee trailer looks actually quite good, and introduces, or re-introduces some classic heroes. Soundwave and Ravage!